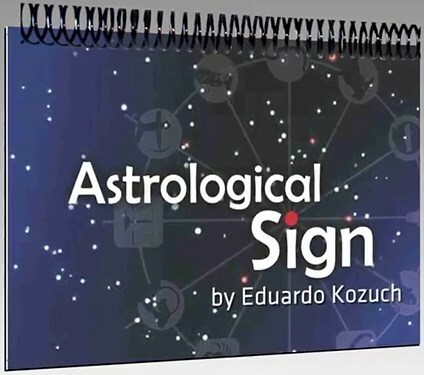 Astrological Sign by Eduardo Kozuch is an ingenious new way of revealing the astrological sign and day of birth of anyone in seconds; perfect for walkaround and table-hopping magicians. 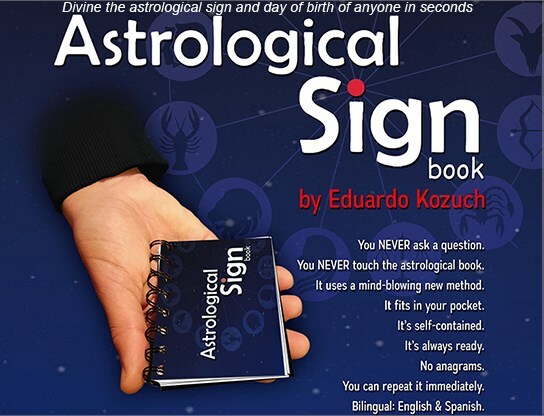 You hand your spectator a small book containing astrological signs and ask them to find their sign and then write their name on the page. They are also invited to read the text on the page, after which you then proceed to tell the spectator what sign they are, with no fishing! You now ask them to look up their day of birth, and in on the page to write the year they were born and draw a circle around their day of birth. You then proceed to reveal their day of birth, again with no fishing. Astrological Sign is completely self-contained and can be repeated immediately and takes just 30 seconds to reset. Produced using high quality materials sure to last for years.